Costa Rica’s culture is influenced by the Spanish settlers that built their lives in the Central Valley. It is an agricultural culture to this day, with a small town feel, even in the middle of the larger towns. The feeling that pervades Costa Rica is one of farmers and ranchers. 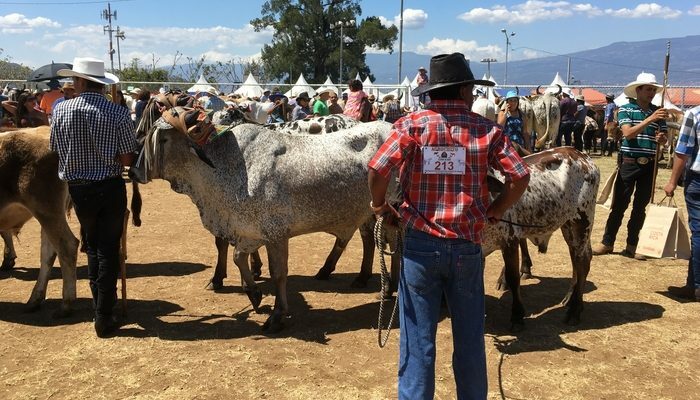 There is no festival in Costa Rica that takes place without a nod to its agricultural heritage. 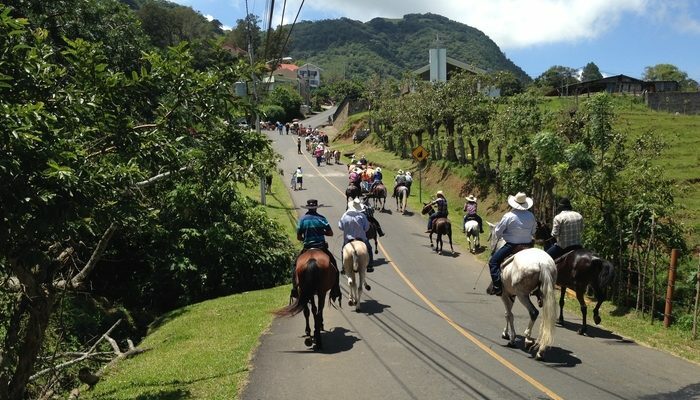 Horses and cowboy culture are ubiquitous to Costa Rica and Ticos are proud of it. Those Spanish settlers also brought their most obvious asset over with them – their language. Spanish is the lingua franca of Costa Rica and the official language of government in the country. Costa Rica has a significant Afro-Caribbean population. This population lives primarily in the Caribbean province of Limon. The descendants of Jamaicans who came to work in the banana plantations and on the railroads, Afro-Costa Ricans now make up eight percent of the population. English and Creole are the main languages spoken by Afro-Costa Ricans. The culture of the Caribbean coast is reminiscent of the Caribbean islands. There is also a small Jewish community in Costa Rica and a visible Chinese community. Most towns have at least one Chinese restaurant. Many of the smaller convenience stores, known as pulperias, are Chinese-ran. The indigenous population of Costa Rica is far fewer than other countries in Central America. Those indigenous that have survived today live for the most part in remote communities. 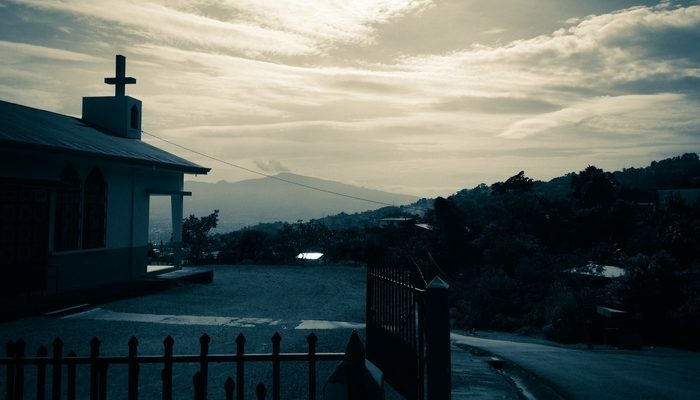 There is a large Nicaraguan population in Costa Rica, which can be a source of friction. And also a growing Colombian and Venezuelan presence. The United States also provides immigrants to Costa Rica. Retirees and other people seeking to find a more tranquil way of life. It’s estimated that one-in-nine people living in Costa Rica are immigrants of some sort or another. Costa Rica is a Roman Catholic country, in keeping with its Spanish heritage. Freedom of religion is guaranteed in the country, though. Other religions abound, particularly evangelical Christianity. In comparison to other countries in the region, Costa Rica places great emphasis on education. It’s 95 percent literacy rate is the highest in Central America. School is mandatory for all citizens up to 12th grade and there are decent universities. The predominant sport in Costa Rica is soccer, and it’s not a stretch to say that most Costa Ricans are fanatics. Not only do they follow their own teams, but foreign leagues – particularly the Spanish league – are also popular. Costa Rica’s national men’s soccer team enjoyed its best World Cup ever in 2014 and the country was one big party during that time. Talking of parties, Ticos love music and dancing as much as any Latinos do. Music is a constant in Costa Rica with Latin styles like salsa, cumbia, and merengue popular among young and old alike. Reggae and calypso are prominent on the Caribbean side and North American and European music are also appreciated. In recent years, many top international acts have dropped in to perform. It’s fair to say that Costa Rican cuisine is not the most exciting in the world. At least not compared with many other places. Many come to Costa Rica expecting some variation of spicy Mexican food. With that expectation, many are let down. But what Tico food lacks in excitement, it makes up for in wholesome, tasty nourishment. Costa Ricans don’t like their food too spicy, and mildness is key. With that said, most restaurant tables will have a bottle of hot sauce for those who want to spice things up. 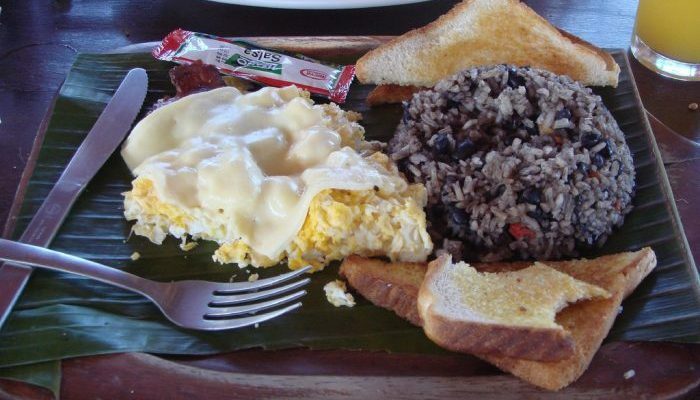 If there were two words that would sum up Costa Rican food, then those two words are “rice” and “beans”. The rice comes white and the beans come black. Pretty much every traditional meal comes with them. Alongside the rice and beans will come vegetables and perhaps a piece of meat (beef), chicken or fish. And that’s it! That’s a typical, simple Costa Rican meal. Delicious? Yes. Does it set the world alight? No. There are variations, of course. On the Caribbean side, the cuisine is more influenced by that Afro-Caribbean vibe. Dishes come cooked in coconut milk with plenty of pork and goat. Tico-Chinese cuisine is different from the Chinese food that you’ll find on the streets of New York or San Francisco. Not better or worse – just…. different. The most famous Costa Rican dish (the Nicaraguans also claim it as their own and the jury is out on who is right) is gallo pinto. This literally translates as “spotted rooster”. It’s a breakfast dish of refried beans cooked with rice and infused with cilantro, red pepper, onions and other ingredients and sauces. It’s generally served with a form of sour cream called natilla with eggs and toast. Other dishes include the casado (described above – rice, beans, and veggies with chicken or meat) and specialty dishes such as arroz con pollo (chicken and rice) or olla de carne (a kind of beef stew). Costa Ricans have a sweet tooth and love a dessert called tres-leche, made up of sweetened kinds of milk soaked in sponge. Fruit juices are popular too, and often come sweetened with a bunch of sugar. Being a tropical country, Costa Rica has many exotic fruits and vegetables. Plantains, mangos, bananas, coconuts, pineapples, and others make up a significant part of the daily diet. Outside of traditional Costa Rican food, there are also plenty of international choices. The fast food revolution has hit Costa Rica. McDonald’s, KFC, and Burger King are everywhere, especially in the larger cities. Street food is often a piece of greasy fried chicken bought over the counter and wrapped in a tortilla. No real difference from the meat you’ll find at KFC. Ticos love their pizza too. Choices range from chains like Pizza Hut to local imitations and high-end Italian restaurants. The tourist influx into Costa Rica has also created a vibrant food scene. Restaurants from all over the world are found in the beach resort towns and around the capital of San Jose. And of course, there is coffee. As with every other Central American country that produces coffee, Costa Ricans proclaim that theirs is the best in the world. In the words of someone or other, “it’s damn fine coffee”.